All Veterans and active service personnel and their families are invited to participate in a couple of different programs at our schools throughout the district in observance of Veterans Day. Students have been working very hard in preparation for these programs and we sincerely hope many can participate by attending. Westville Junior High has a student led assembly that will take place at 9:30AM at the junior high and is scheduled to last approximately 30 minutes. Judith Giacoma Elementary School has a Veterans recognition ceremony that will take place at 1:30PM in the main gym and the program is scheduled to last approximately one hour. 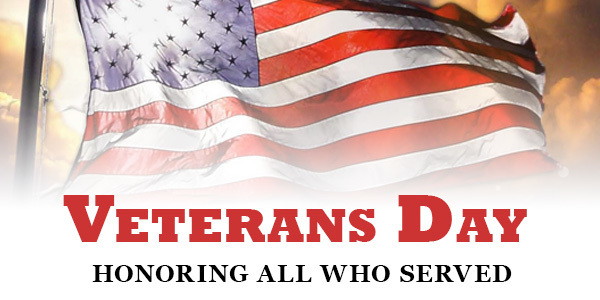 Westville School District offers a very heartfelt "Thank you" to every person that has made the decision to help defend the freedoms we hold most dear.